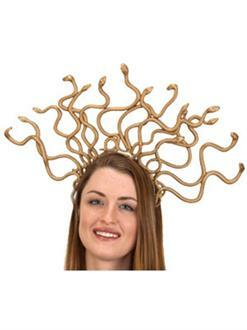 Carm everyone with this beautiful headpiece. You will be stone cold when you put this on. Slither your way into the room. The deal you'll get on this item is absolutely petrifying. Order your Gold Medusa Headband online today!